Right before Halloween last year I sold my self-esteem for $4,500. You see, I grew up in a tiny, blue-collar town in a flyover state to parents who worked hard to stay afloat. Money seemed to be a perpetual topic of conversation but I always felt like a lucky, blessed kid. I didn’t feel poor until I stepped onto campus at Indiana University, surrounded by the descendants of Fortune 500 CEOs and industry titans. In fact, I was voted the poorest kid in our fraternity house, a humbling honor. In the mind of a 20-something, this disparity can be a breeding ground for low self-esteem and ultimately led to the formation of a tiny chip on my shoulder, a sub-conscious reminder to “prove” that I was commensurate with my peers. Early in my career, I wielded this chip to ensure I was successful, regardless of the ramifications. 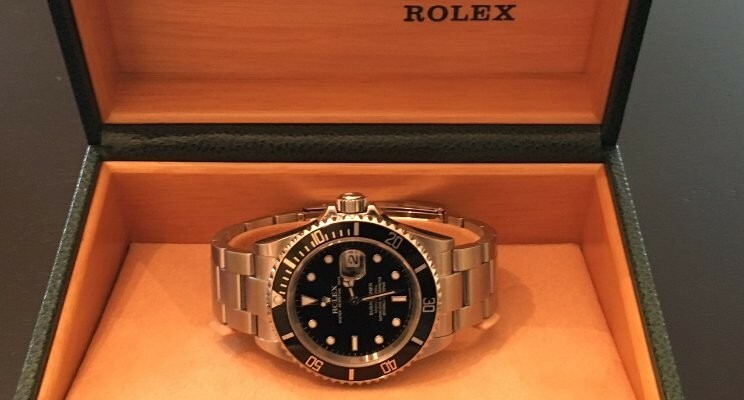 On my 30th birthday, as a heady, self-aggrandizing, overpaid salesperson, I bought a $4,250 Rolex Submariner to “prove” my worth to each passerby. The chip had morphed down my arm into an accessory for the world to witness on my wrist each day. After nearly 20 years of spiritual work, I was able to chisel away at this mass and wealth no longer drives me: relationships do. In fact, any yogi will tell you that they have a name for this concept: Aparigraha, the ability to release the possessions, people or passions that no longer serve you; knowing that the void will be filled with more blessings. Thanks to Aparigraha, I mustered the courage to sell my Rolex, for a $250 dollar profit no less. That said, I wouldn’t trade the lesson for a million bucks. Rhett Trees is a soulful entrepreneur, interested party, seeker, audiophile, investor, traveler, loving father, average husband. He grew up in humble beginnings near a small, blue-collar town in northern Indiana to a loving family. Since then, he has been pursuing his life mission: "To touch someone's soul today." The universe has been conspiring on Rhett's behalf for decades and his passionate efforts in the business community have been fertile grounds for the growth of others. Feel free to reach out to Rhett if he can do the same for you. Rhett sits on several not-for-profit boards including the Kelley School of Business Alumni Board at Indiana University, ACE Scholarships, Project Helping and Levitt Pavilion. When he’s not working, Rhett enjoys fly fishing, scuba diving, cycling, golf and spending time with his wife and their 2 young children.